Every element positively soars in this song. The brief, simple horn riff lifts off and Martha Reeves’ voice pushes the listener into the stratosphere. 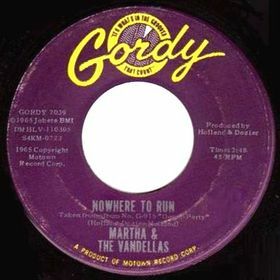 Funk Brother Benny Benjamin’s bouncing drums and ascending backing vocals from the Vandellas keep the track in the air well past the run-off groove.